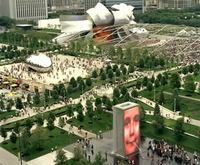 Some Chicago tourists were miffed yesterday, when they showed up at the city's famous Millennium Park, only to be turned away. Toyota had rented the space---for the steep sum of $800,000---to fete its auto dealers and corporate employees. Most of the public park was closed Thursday for the the private party. The city is treating this as an experiment in economic development, and is hoping the event will ultimately be a success, one they could repeat in the future. The tourists are understandably upset: It would certainly be frustrating to be denied entrance to a public park, simply because someone richer than you has reserved it for the day. But these tourists should remember that Millennium Park exists because of an unprecedented partnership with corporate donors, who footed half of the park's $475 million bill. 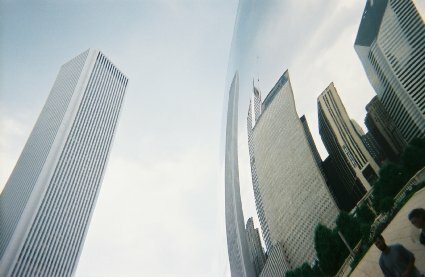 From the BP Bridge to the Chase Promenade, from SBC Plaza to the Boeing Galleries---if it weren't for private funds, there wouldn't even be a Millennium Park to be turned away from.